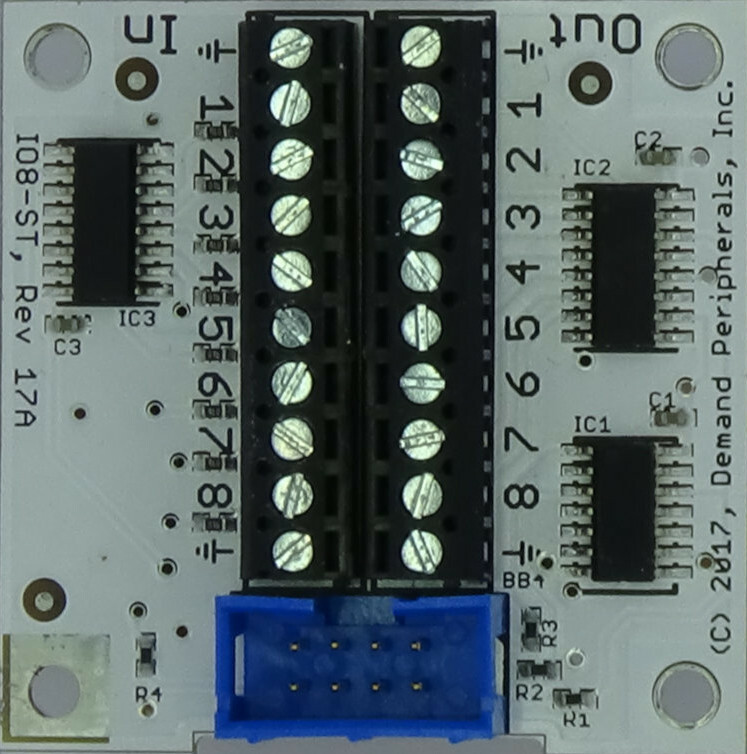 The IO8 card has eight inputs and eight outputs. The output is at 3.3 Volts and the input can be at 3.3 or 5 Volts. The schematic and layout of the IO8 are shown below. 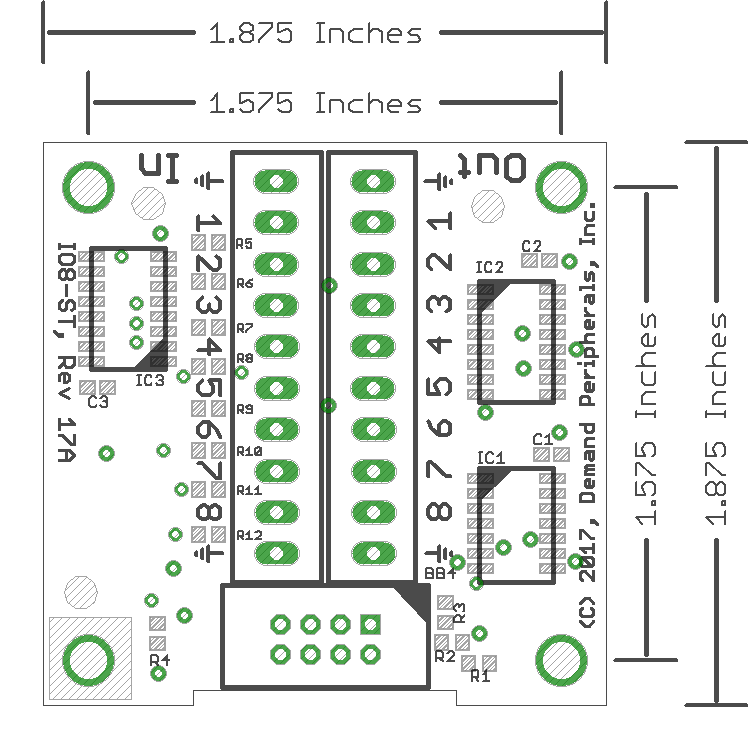 The Eagle schematic and board files are available here: io8.sch and io8.brd. The bill-of-materials is available here: io8.txt.